I've had the most relaxing sunday in weeks with nothing on my mind other than discovering many great blogs and captivating images. With my new semester starting tomorrow I have to force myself to get back in the study mood, which means less time for blogging. So, I want to end my joyeus two free weeks sharing a burst of beauty. I just can't get over the prettiness of the first image below. Absolutely breathtaking! Purple, lavender and lilac haven't been on my radar for quite some years but it keeps growing on me more and more. 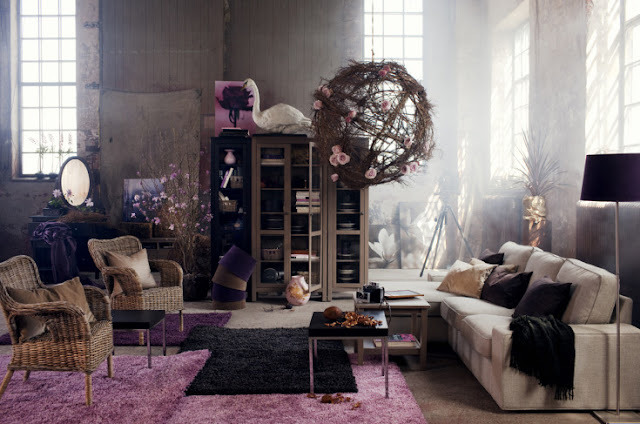 The shades in these gorgeous images are very appealing and makes me want to ad a lavender touch to my spring wishlist. 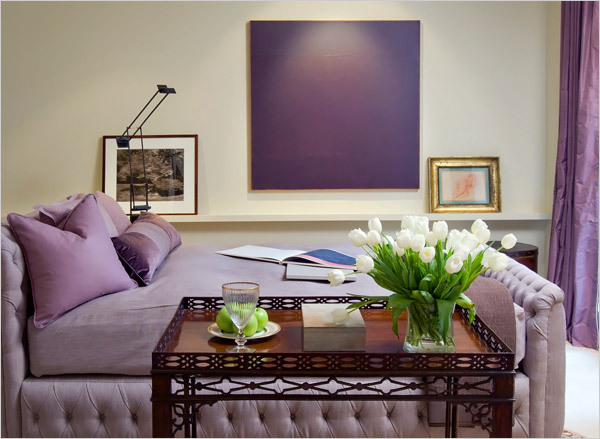 Do you like purple (shades) for interior or fashion? What sweet purple shades! Looking forward to spring! love it. especially the first image! Yes, I love these shades, they're such a breath of fresh air in one's wardrobe or home (one of my bedroom's walls is purple, it's amazing). The 1st pic is gorgeous and that Chanel nail polish is to die for. Have a great week! 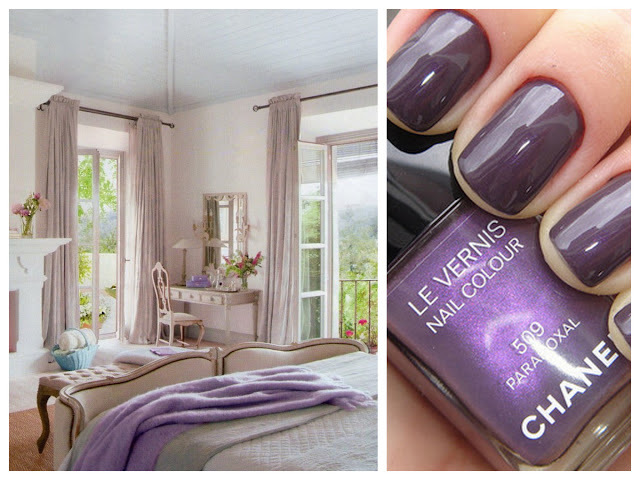 I love purple...makes me feel at home and comfortable and cosy... and yes,...Ada is right, the nail polish is breathtaking, just like the first picture...just lovely! that first image is gorgeous... i love those hydrangeas!!! have a nice week! Gorgeous purple shades! I always love the shade of purple that comes from blueberries sitting next to ice cream! The images above are gorgeous ... love the sunlight streaming in the room and the purple nail polish makes me want to rush out to buy some! Wow! What a Beautiful color and Images! Very Inspiring! Wow! What a beautiful purple colors! I love everything!